Here at Stanford Court we think we’ve got it pretty great. We are located in the beautiful Nob Hill district that provides sweeping views of San Francisco and a great location to easily access Fisherman’s Wharf, the Marina, Pacific Heights, the Financial District, SOMA, and more. Not to mention, we are close to Civic Center so you can easily pop over there to see a San Francisco Opera performance, San Francisco Ballet performance, or Symphony concert. But if you are in town for a quick trip, you might just plan on spending all of your time at meetings and at Stanford Court. 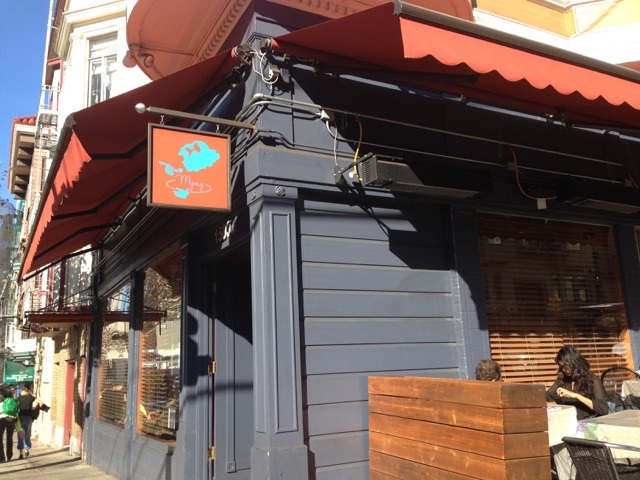 Fear not, we have rounded up the best spots in Nob Hill for you. Our favorite spots in the area are all just a few blocks from the hotel. You won’t have to go far to experience the energy of San Francisco! Cafe Isabella- After a quick stroll through Huntington Park, head north on Taylor Street to Cafe Isabella for a mom and pop coffee shop experience. It is a great place to get some work done before continuing north on Taylor and sightseeing in Fisherman’s Wharf. 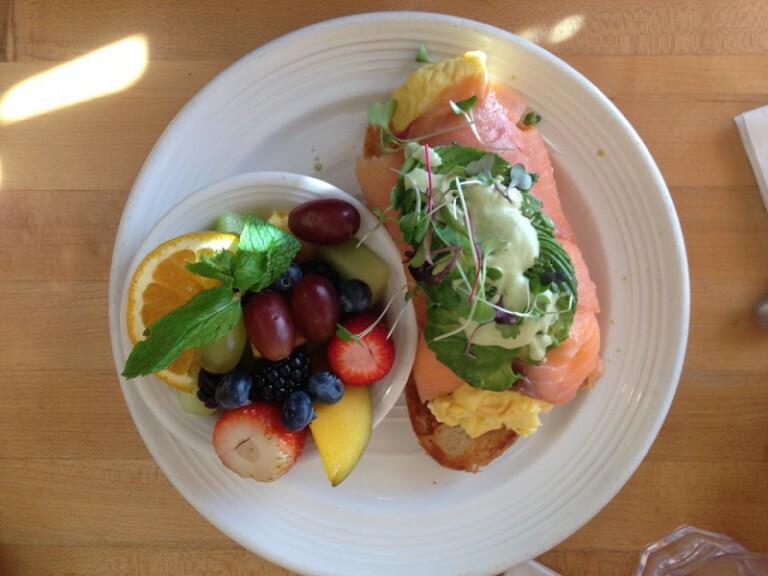 Mymy Cafe – Located at 1500 California Street, this quaint brunch spot serves delicious food from 8:00am-2:30pm. 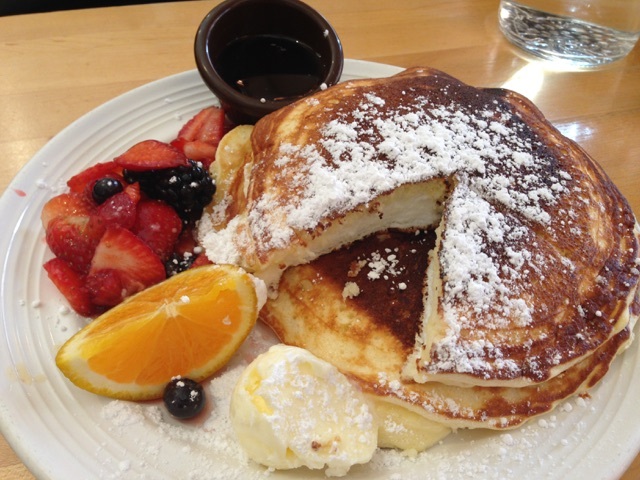 The lemon ricotta pancakes are out of this world. Either go right when they open or at 2pm because they always have a long line of people waiting. The Masonic. The Masonic is a Nob Hill mainstay. Originally dedicated in 1958, it recently underwent extensive renovations and reopened in 2014 with brand-new concert stage, state-of-the-art sound system tailored specifically to the room, and a new general admission open floor with tiered levels, bringing the venue’s general admission capacity to 3,300. The best thing about the Masonic is the variety of shows- comedians, bands of all sizes, and performers have graced the stage. View the Masonic calendar here. Oh yes, and it’s just two blocks away from us at Stanford Court! One California. While the cable cars running right outside our hotel on California Street get all of the fame, we love hopping on the 1 California muni bus for $2.25 and adventuring through the city. Think of it as a scenic route of some great neighborhoods. You can catch it on Sacramento Street and hop on and visit Russian Hill, Fillmore Street in Pacific Heights, or even hop off in Presidio Heights and explore the Presidio. It heads as far west as Geary and 33rd Avenue so you can even venture all the way to the Legion of Honor, one of our favorite museums. Let me know if you have any questions! Don’t forget to follow us on Instagram, follow us on Twitter and like our Facebook page for more updates!